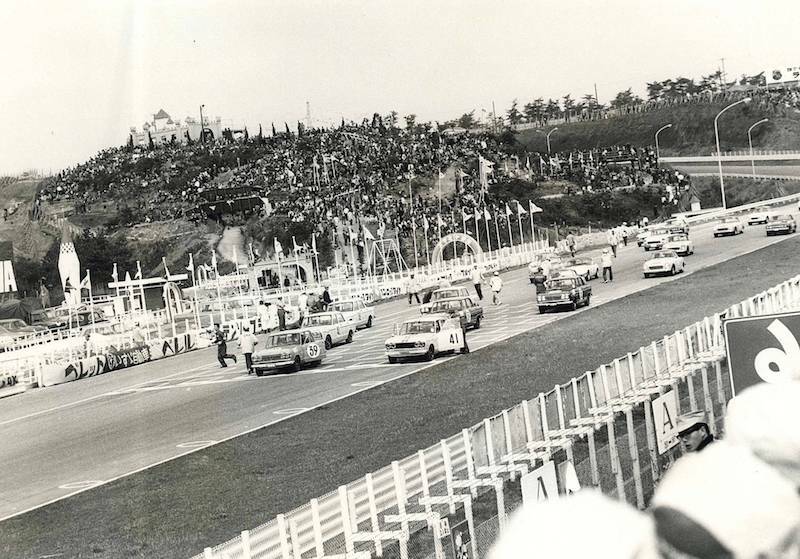 For more than half a century, motor racing has drawn huge crowds in Japan, but for motorsports fans one race stands out – the 1964 Grand Prix meeting at Suzuka. That was the day the Skyline legend began. The participants in that year’s GT-II race lined up on the grid, and among them was a team of Prince Motor Company Skyline GTs. They may have looked like little more than lightly modified sedans, but they were about to do the unthinkable – challenge the established champions from abroad. The Skylines almost didn’t get to the race at all. To qualify, one hundred units of the production version had to have been made. Prince Motor Company, later to merge with Nissan, only just made the target with the Skyline GT, brainchild of chief engineer Shinichiro Sakurai. The new car had to have a lengthened nose to house the straight-six, triple-carbureted engine, and several other issues meant that it was far from sorted out. Reunited with the number 39 he drove in the 1964 race, Yoshikazu Sunako remembers that at first the modified car seemed far from perfect. “We finished a lap in 2 minutes 47 seconds, and at that point I was proud to say this was the fastest car at Suzuka,” claimed Sunako. The saloon model Skyline would have to be quick, as it was up against some serious competition. Another late addition to the field was a relatively new Porsche 904 Carrera GTS, a German car that came with a fearsome reputation. The Skyline would not defeat the Porsche, a more purposefully built racing with a top speed of over 250 kilometers per hour, but Sunako’s driver colleague, Tetsu Ikuzawa, would edge his way ahead for a lap that all Japan would applaud. “Just before the hairpin curve, Ikuzawa overtook the Porsche, so I thought, ‘Wow, he’s the man! '” recalled Sunako. As the Skyline led the Porsche, fans at Suzuka – and around Japan – went wild. 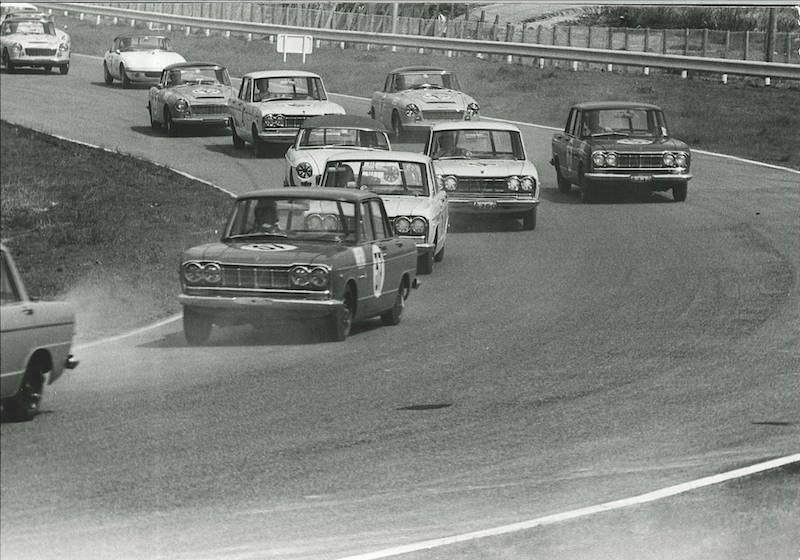 Skyline GTs make their debut at the Japan Grand Prix, 1964. The title ultimately went to the German car, but the Skylines made their mark with a clean sweep from second place to sixth. Sunako was in the number two spot, and the plucky driving of Ikuzawa had captured a nation’s imagination. Toshiyuki Shiga, now Nissan’s Chief Operating Officer, says that day decided his path in life. Veteran race driver Kazuyoshi Hoshino, who himself would become a national hero at Daytona nearly 30 years later, said the Skyline also fired his imagination. 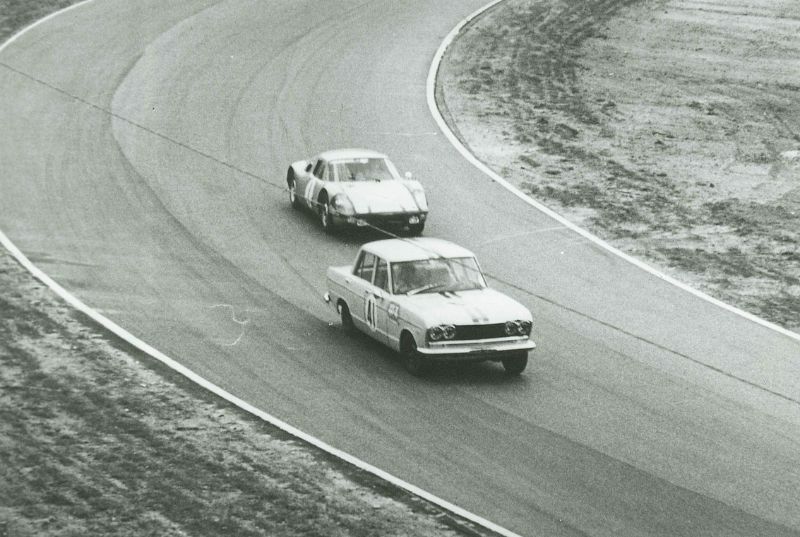 The efforts at Suzuka in 1964 may not have produced a win, but they did inspire the development of the R380 Series cars that would claim the Grand Prix over Porsche just two years later. In the 1966 race, Sunako’s R380 triumphed over the formidable trio of Porsche 906s in the field to become that year’s Grand Prix Champion. “It was because we lost against the Porsche at that time that the R380 series was born, so it was actually a good thing that we competed against the Porsche Carrera,” said Sunako. 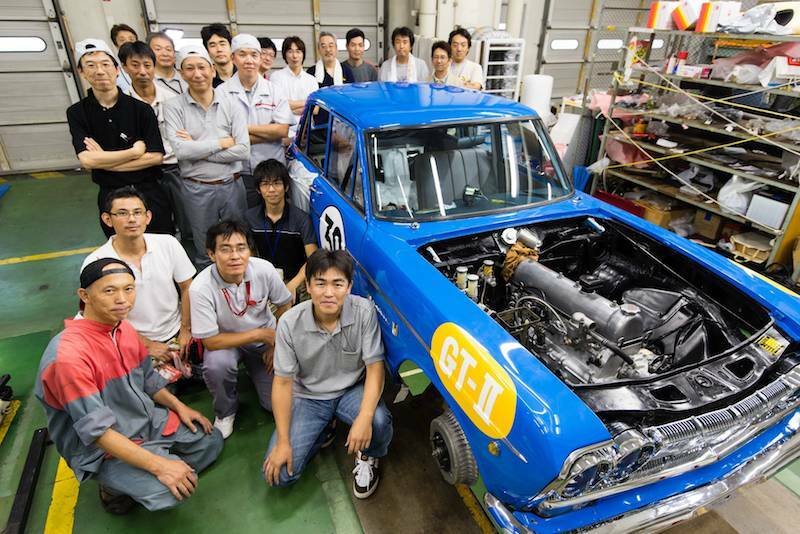 Such is the significance of Skyline GT #39 that a team of volunteers has put hundreds of hours into restoring it. Working in Nissan’s Zama heritage garage, where the car has been stored, the team worked to make the car ready to return to the scene of its greatest success, the Suzuka racetrack. This was the car that started the Skyline story, a legend that has continued through twelve generations of the car. It also represents a watershed moment in the history of Nissan, in the company’s rivalry with Porsche, and indeed in the modern history of Japan, as evidenced by the race’s impact on so many important figures in Japan’s car culture. Car #39’s emergence from hiding sheds light on that moment for those who remember that thrilling day in 1964 and younger generations of car lovers alike. What a fitting memorial to Chief Engineer Sakurai (1929-2011), who left a legacy of innovation that endures to this day.